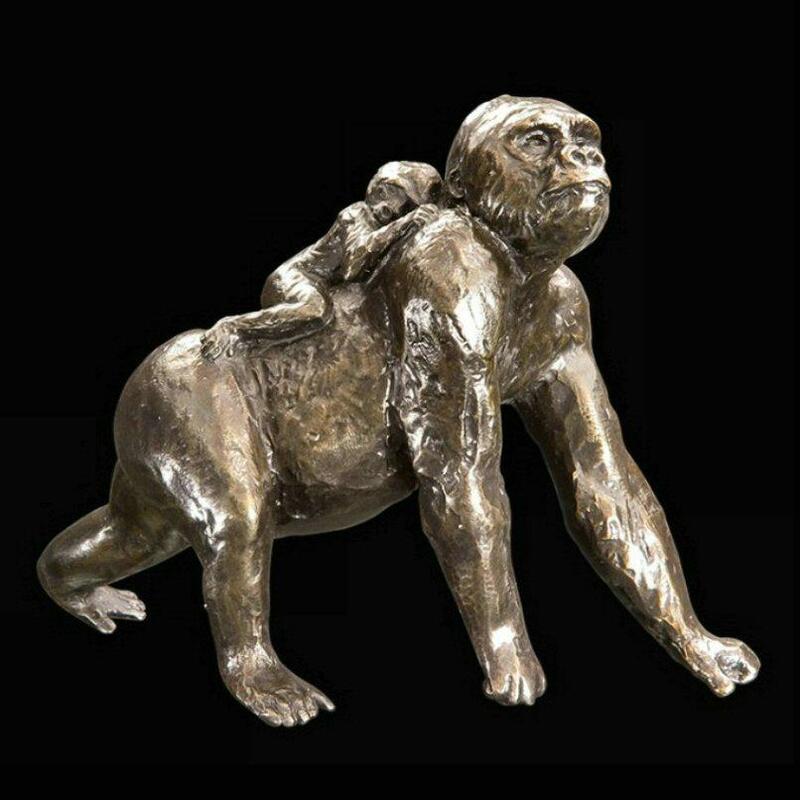 Solid bronze sculpture of a gorilla carrying its young by master wildlife sculptor Michael Simpson. Natives of the forests of central Africa, Gorillas are our closest cousins. These intelligent and thoughtful animals exhibit many human traits and emotions and even make their own tools. Great apes like the gorilla have been part of popular culture for many years and are probably best known for their part in films like King Kong, Planet of the Apes, Tarzan and The Jungle Book. This beautifully crafted solid bronze, limited edition sculpture would be the perfect gift for any lover of these magnificent creatures.